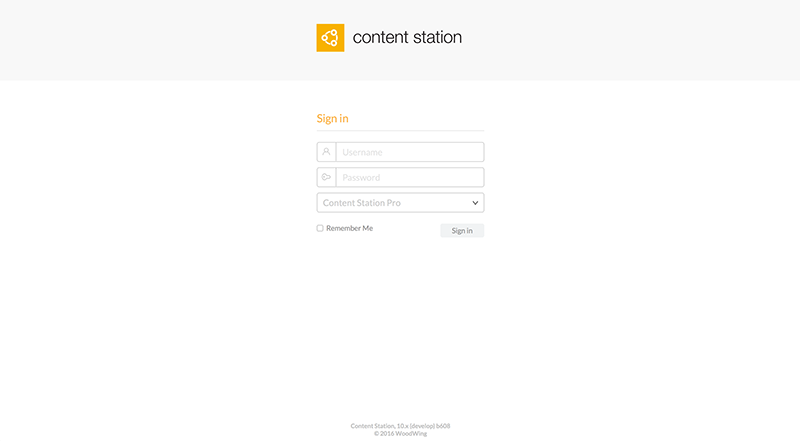 This article describes the main features of Content Station 10 and is aimed at users who are new to Content Station or are upgrading from a previous version. 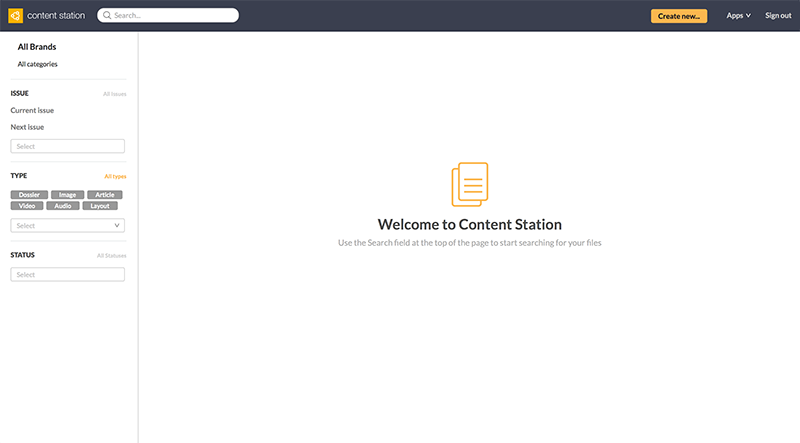 Note: It is assumed here that you are using the latest version of Content Station 10. When using an older version, minor changes may exist. 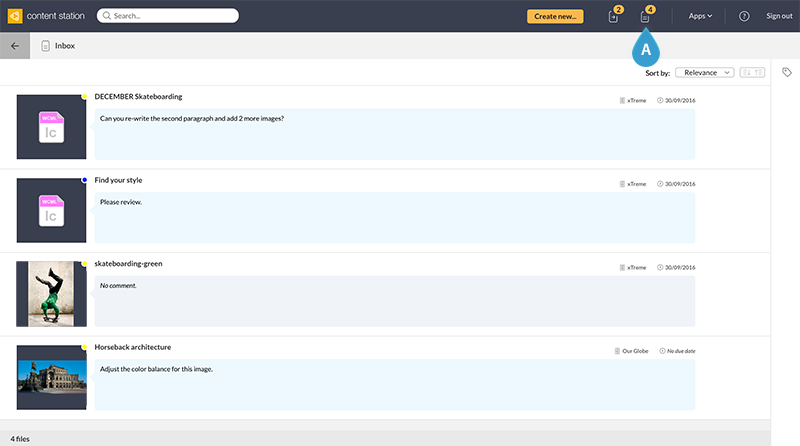 For more information, see Searching for files in Content Station 10. 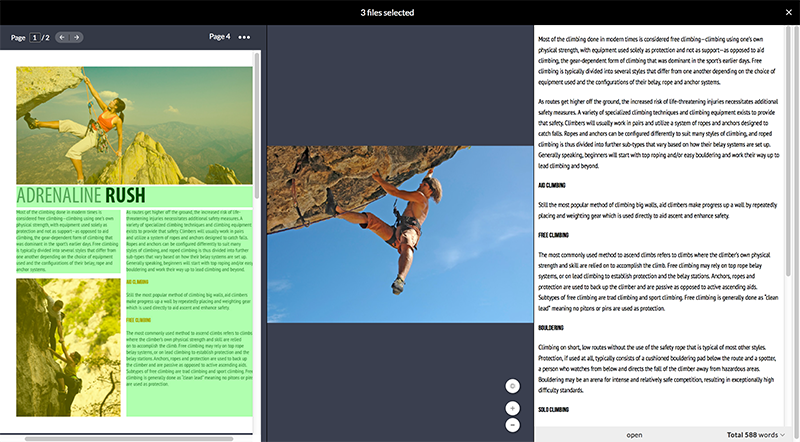 For more information see Working with Dossiers in Content Station 10 and Working with articles in Content Station 10. The Print editor of Content Station 10 — used for working on articles that are published to print — is straight forward and self explanatory. Some points to be aware of are listed below. For more information, see Working with articles in Content Station 10. 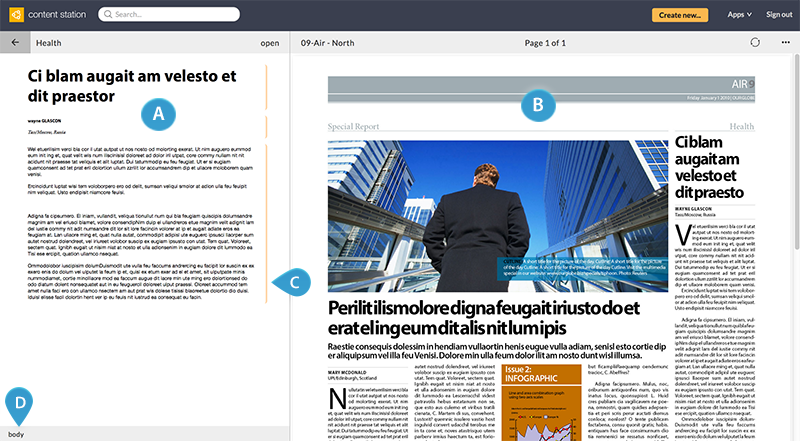 Figure: The Print editor of Content Station 10 with the Edit window (A), the Preview window (B), article components (C) and the Status bar (D) with the name of the active article component shown. 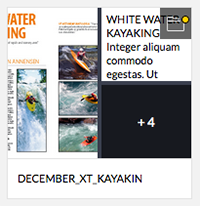 When working on an article in Content Station 10 each component is indicated by a vertical bar on the right side of the article (see figure above). 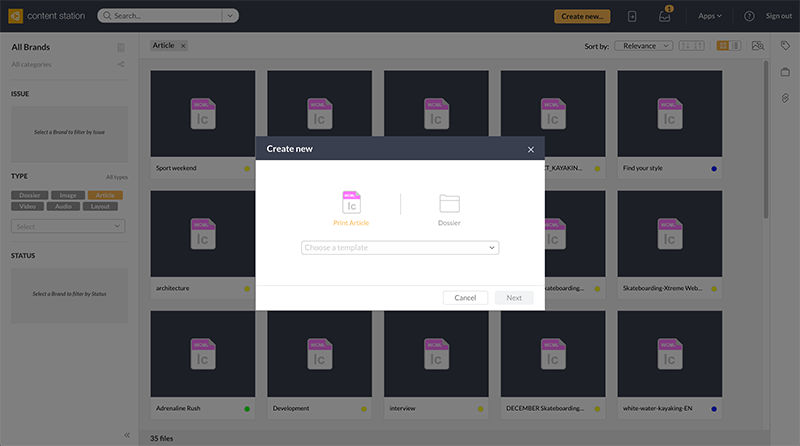 For more information, see Uploading files to Enterprise in Content Station 10. 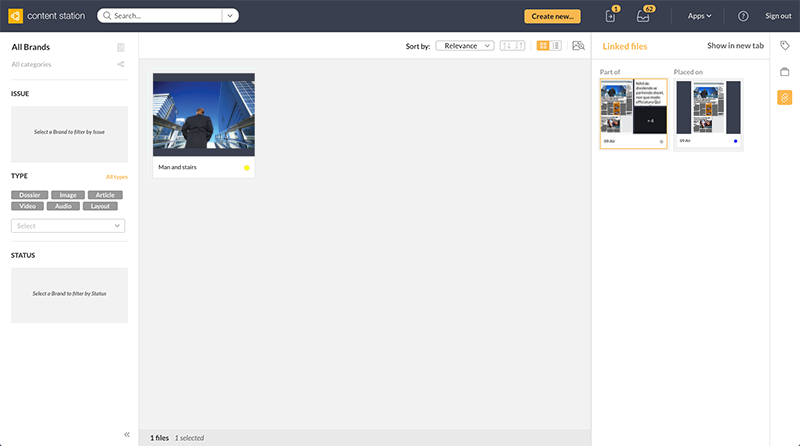 (Content Station 10.33 or higher) Make sure that the switch at the top of the screen is set to Show Status. 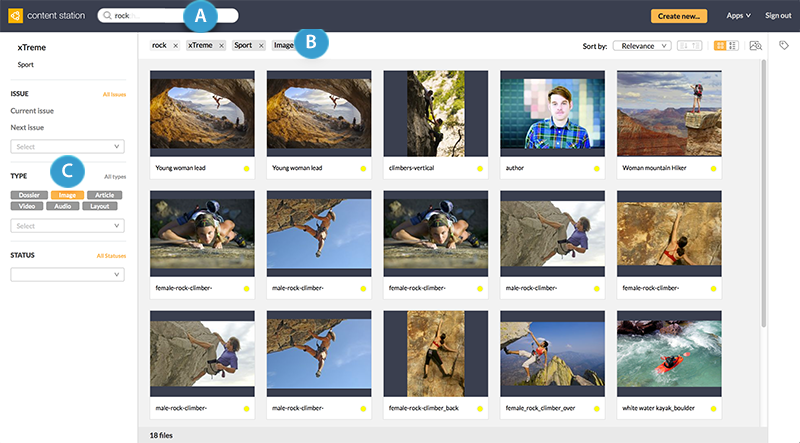 For more information, see Changing the properties of an object or file in Content Station 10. 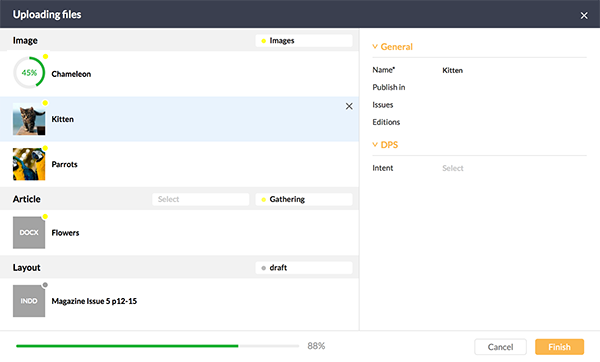 For more information, see Processing routed files using the Inbox in Content Station 10. 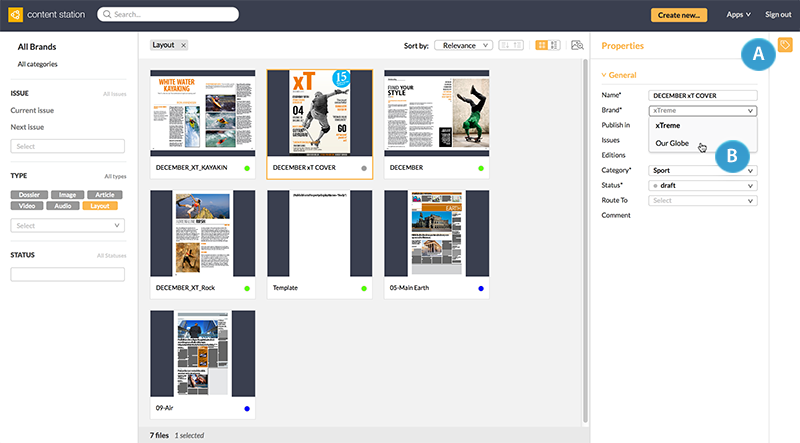 One Application that is added by default is the Publication Overview: an application that gives you a general overview of how far the production process of a publication has progressed. 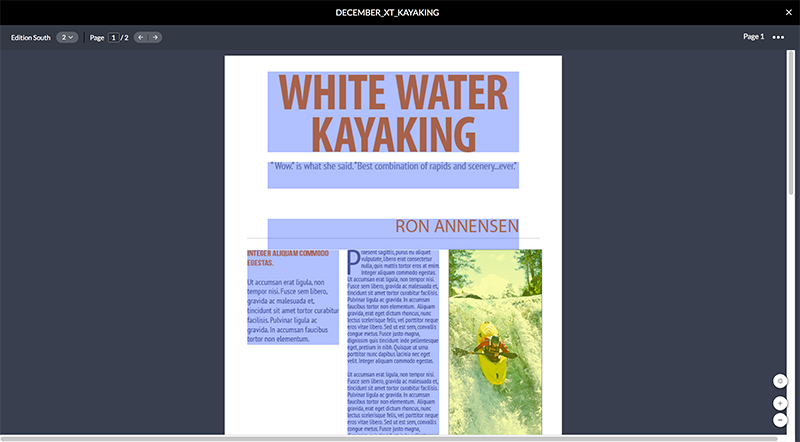 For more information, see Using the Publication Overview Application in Content Station 10. 18 October 2017: Updated section 'Showing or hiding the Workflow Status of placed objects' with information about setting the switch to 'Show status'. 10 August 2017: Updated the text icons in section 'Editing an article'. 20 September 2016: Added section Working on routed files.